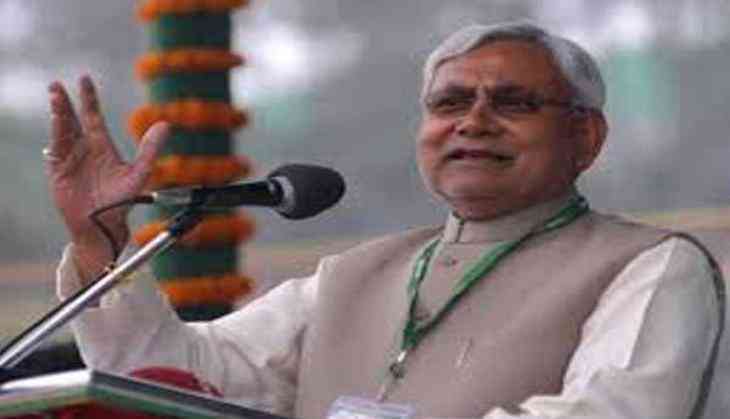 The Bihar Assembly on Saturday saw the swearing-in of as many as 27 new ministers, including 14 from the Janata Dal (United) (JD(U)), 12 from the Bharatiya Janata Party (BJP) and one from the LJP. Nitish Kumar was sworn in as the Chief Minister and BJP's Sushil Modi as the Deputy on Thursday, a day after the former ended the 'mahagathbandhan' and came back to the National Democratic Alliance (NDA) fold, with taking the oath for the sixth time. JD(U)'s Kapil Dev Kamat, Dinesh Chandra Yadav, Santosh Kumar Nirala, Maheshwar Hazari, Shailesh Kumar, Jay Kumar Singh, Krishna Nandan Prasad Verma and Shrawan Kumar and BJP's Ramesh Rishidev, Brij Kishor, Rana Randhir Singh, Vinod Narayan Jha, Pramod Kumar and Ram Narayan Mandal among other took oath as ministers in the Bihar Government. Nitish Kumar won the floor test in the Bihar Legislative Assembly with 131 votes in favour and 108 against. The Janata Dal (United) (JD(U)) and the BJP MLAs met Governor Keshari Nath Tripathi to stake claim to form the government in the state, after Nitish ended the 'mahagathbandhan' in the state and resigned from his post, instead of Tejashwi Yadav, as was being speculated and expected. Nitish resigned citing political differences with former ally, Lalu Prasad Yadav-led RJD, over corruption charges against Tejashwi, following which the state saw a rigmarole of political events including dharnas and probationary orders. The development came hours after Lalu took a jibe at Nitish, saying he was aware of his longtime friend's party's growing bonhomie with the BJP.